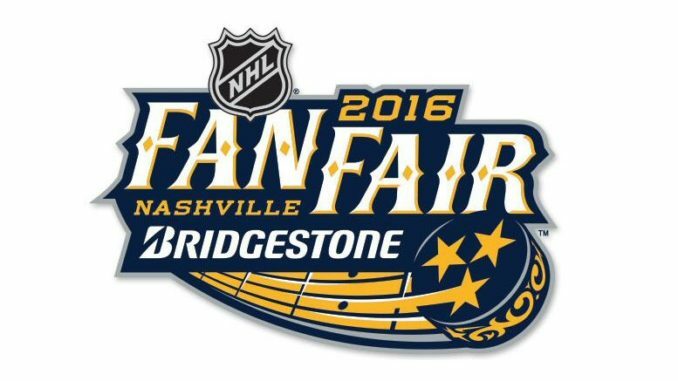 The 2016 NHL Fan Fair hit Music City (Nashville, Tennessee) Thursday, January 28, through Sunday, January 31, 2016. It was four days of action for families and fans that featured appearances, interactive games, live broadcasts, meet & greets, memorabilia, music, Q&As, trophies and more. Music was also showcased every day. Thursday night LOCASH and Lonestar performed for hockey fans at Music City Center. LOCASH brings their hits to the NHL Fan Fair in Nashville. Inside Music City Center the event was geared towards all ages with displays, hockey history, interactive games, rinks and an opportunity to touch and be photographed with the Stanley Cup. The music stage was sizable with full scale lighting and sound systems. Music City became a Hockey Hub during the last days of January with all Fan Fair venues centrally located to each other and also near lodging, restaurants and the Honky-Tonks. The weather also cooperated. Only a week earlier Nashville had been slammed by Winter Storm Jonas leaving piles of snow that would have made getting around difficult. LOCASH impressed with a strong set or rockin’ country songs. The “All-Star Game” was the apex of Fan Fair. The game played on January 31, 2016 was a 3-on-3 tournament where the four divisions faced off in a winner-take all format. In this new setup, each class had a roster of six forwards, three defensemen and two goalies. One player from each was voted onto the team by the fans to serve as captain. The All-Star groupings included at least one player from every team in its division. 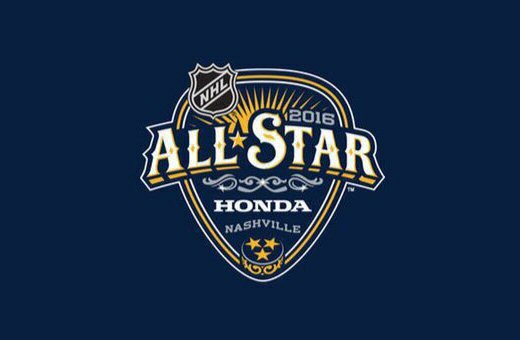 The hosting Nashville Predators had three representatives listing goalie Pekka Rinne, defensemen Shea Weber and Roman Josi on the Central Division All-Stars. The games were 20 minutes in length with a total of 44 players participating. There was also an “All-Star Skill Competition” that took place on Saturday. LONESTAR headline the NHL opening night at the Music City Center. Richie McDonald and Dean Sams bring the golden sound of LONESTAR to the NHL party. 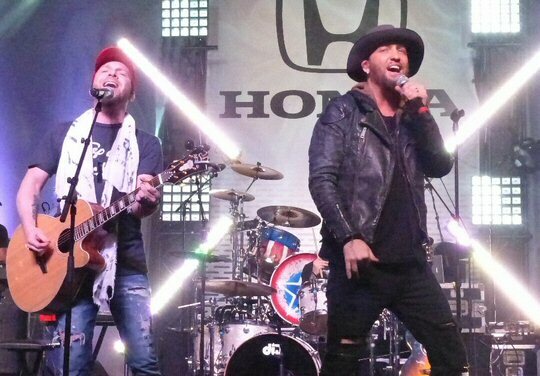 LOCASH was fronted by Chris Lucas and Preston Brust. 2015 was a winning year for the duo who scored a number of hits including “You Gonna Fly” penned for Keith Urban. The band has paid their dues playing hundreds of gigs and it showed in their polished performance at Music City Center on Thursday night. LOCASH’s music was engaging and energetic packed with fan favorites and tunes that folks could sing along to such as “Drunk, Drunk” and “Truck Yeah”. It was good time country-rock and roll yet the more serious “Shipwrecked” flowing into a snappy refrain demonstrated that they have a sensitive side too. LOCASH was a winner at Fan Fest. Speaking of winners, Lonestar the multi-platinum country music quartet also scored with hockey fans. Their condensed set was lively starting with the classic “Mr. Mom”. A tune all about the struggles of raising children a song that many parents could relate to. It’s those vivid life vignettes that has made Lonestar stars. 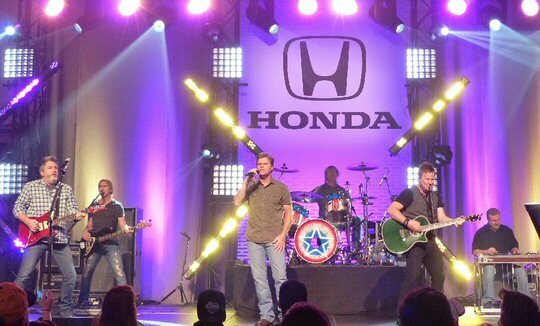 “You’re Like Coming Home” was compelling as was “I’m Already There” which Lonestar dedicated to military families. Their set was heavy on covers reflecting their many musical influences. 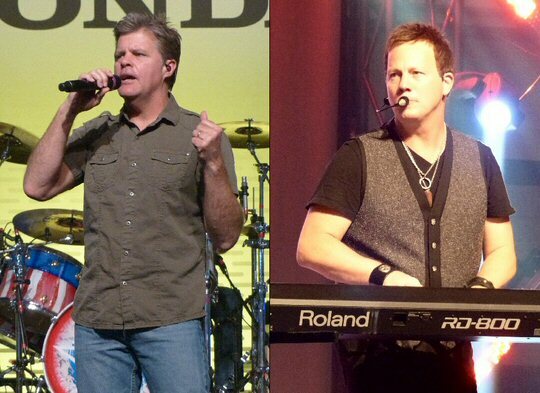 “Take It Easy” allowed Lonestar to show off their fine harmonies. “Get Back” by the Beatles was giddy. Lonestar presented an All-Star medley starting with Pink Floyds’ “Another Brick in the Wall” and concluding with hard rockers – “Boys Are Back in Town” (Thin Lizzy) then Kiss’ “I Wanna Rock and Roll All Night”, thus ending the first of four days on a rockin’ note.